Debbie George started this process about 15 years ago, when she learned that her skin conditions were exacerbated by all the chemicals her skin was absorbing from her makeup. She knew then that she wanted to make products that were free from nasties like parabens, DEA/TEA, propylene glycol, and harmful preservatives. She wanted this makeup to be made from better ingredients (like Vitamin E and Peptides), be cruelty-free, look beautiful all day long, be convenient to buy, and not break the bank. And, she did it. In this series of pictures, I start by applying the Bellimisa mascara just to one eye - my lashes are not primed, nor are they curled. 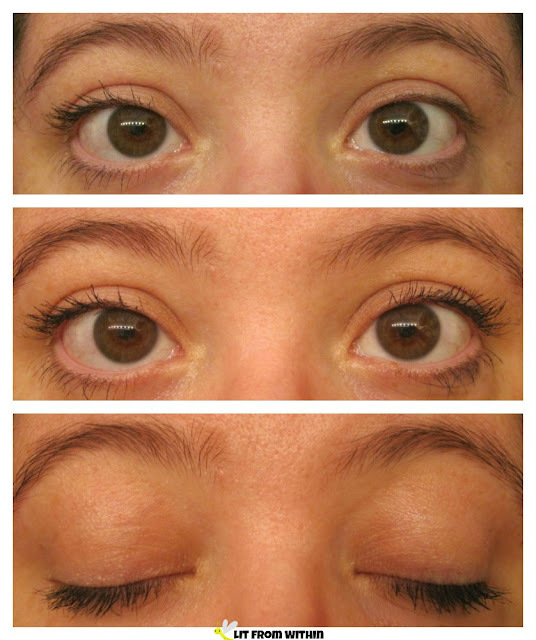 I'm not even wearing any other makeup - that's just the natural lash with the mascara! It goes on a little thick, but with a great consistency - not too wet, not too dry. It wore all day, and didn't irritate my eyes...even when I fell asleep with it on. Which I don't recommend, by the way. You should always take your makeup off at the end of the day, but sometimes naps happen. Here's how it looks with some super-sparkly metallic shadow (Peri-pera Wholly Deep Jewel Pots) and some It Cosmetics Jade eyeliner. 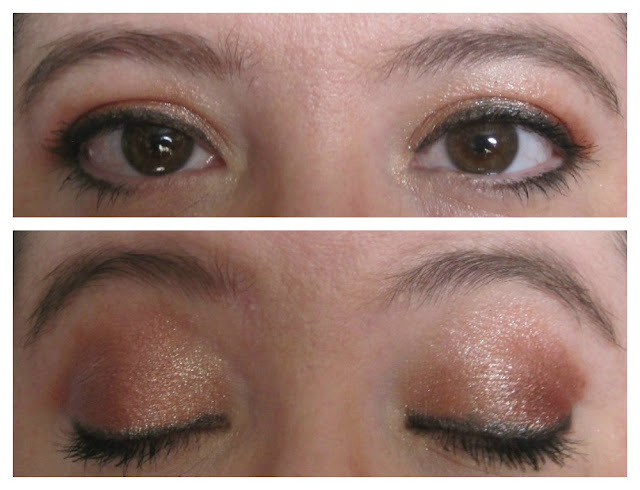 I love how deep and dark the liner and mascara make my brown eyes look, contrasted against the glitter-fest on my lids. 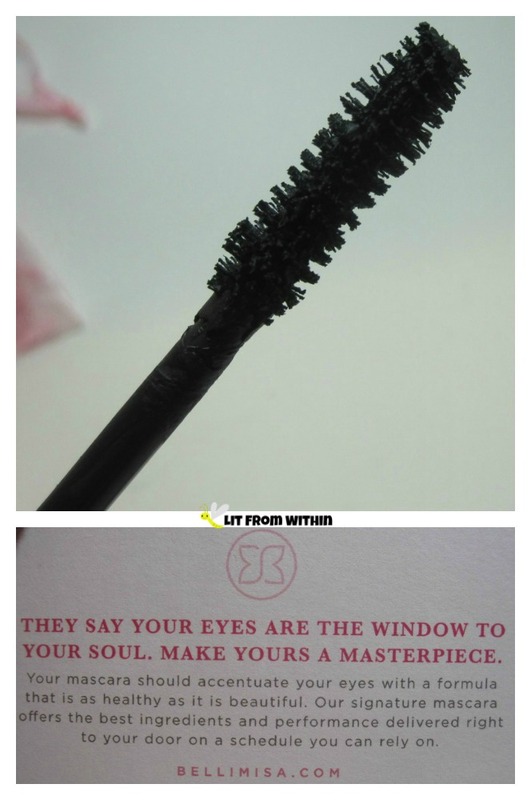 My lashes have gotten shorter and straighter as I've gotten older, so I'm always looking for a mascara that can give me more visible lashes, and I think Bellimisa delivers on that. Their subscription service ensures that I don't have to check the calendar, or wait for my eyes to get irritated to remember to crack open a new tube. If you're a daily wearer of multiple coats of mascara, you might like getting it delivered every 30 days. If you don't wear it every day, or like me, want to hold out longer, you can get a 60-day subscription. 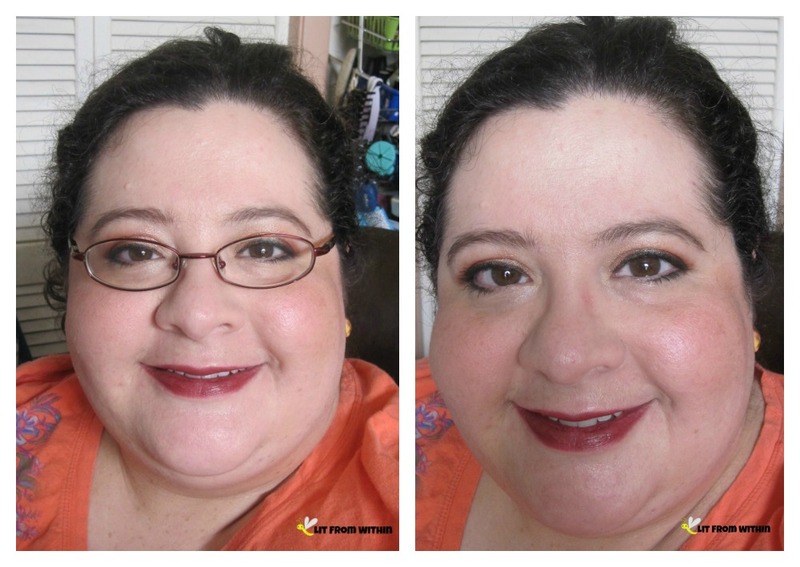 Even behind my glasses, the magic of mascara makes my eyes look more defined and open. If you just want to try one tube of the mascara, it's $28, but either subscription drops the price to $16 - and you can cancel at any time. 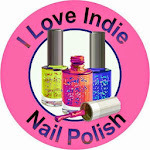 And, Bellimisa gave me a discount coupon for my readers - use the code BBLOGGER and get $2 off the subscription price! Also, subscribers have exclusive access to other Bellimisa products, like their brow gel and makeup remover. For more information, or to purchase, you can find Bellimisa on their webpage, Facebook, Twitter, and Instagram.